Vocalist Bobbe Norris has been a central figure in the ranks of Bay Area jazz luminaries since the 1960s. She has performed in virtually every jazz club in the area, starting with Jimbo’s Bop City and the North Beach jazz scene, spent several years in New York pursuing a much publicized career, and has appeared throughout Europe, Japan and the Caribbean, as well as throughout the US. Larry Dunlap, Bobbe’s longtime partner in music and life, is a much in demand pianist and arranger who brings an innovative and ear-grabbing approach to all his endeavors. Larry is heard regularly with vocalists Mark Murphy and Dame Cleo Laine, to name a few. Together Bobbe and Larry bring a warm and exciting newness to both familiar standards and original material from unusual sources. 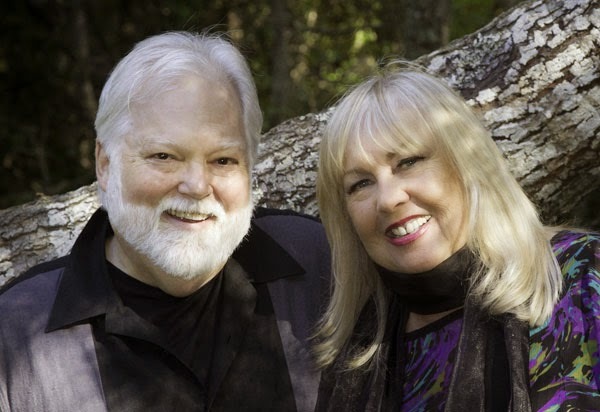 Their performances often include lesser know songs from well known composers as well as Brazilian delights and originals from seldom heard composers such as Michael Ruff, Flip Nunez and Marilyn Harris. Bobbe’s lush, sultry voice and uncluttered style has been hailed by critics throughout the world. She is “a very hip singer who can turn a lyric like few others, a marvel at mellowness” (SF Examiner) and a songstress with a wealth of experience that is evident in every note. Combine this with Larry’s innovative but always appropriate playing and arranging and you have a very special evening of world class music that is exciting and relaxed, elegant and informal. This is old school vocal jazz in the vein of Ella Fitzgerald, Shirley Horn or Johnny Hartman.